Babies in Their Own Room at 4-months Sleep Longer? Not necessarily. You may have seen headlines about a new study that indicated that babies in their own room sleep longer and better. The study published in the June 2017 issue of Pediatrics reported that “room-sharing at ages 4 and 9 months is associated with less nighttime sleep, shorter sleep stretches, and unsafe sleep practices previously associated with sleep-related death” (Paul et al., 2017, p. 1). Many parents might read this headline and panic a little. Current American Academy of Pediatrics (AAP) recommendations say that infants should room-share until at least 6-months for SIDS prevention, and longer if mothers continue to feed at night. It’s logical that parents have been following these recommendations and a headline like this might result in a spike in parents’ anxiety levels. A closer look at the study and how it was conducted, however, suggest that this finding (and the headlines that resulted from it) may be exaggerated. This study investigated the impact of room-sharing on sleep duration. 247 moms (predominantly white, middle-class, and all from one maternity ward) were recruited as part of a larger study looking at sleep and obesity prevention. The study asked participating moms about the quantity of sleep for babies at four-, nine-, and twelve-months, and evaluated them again at 30-months, separating them into three groups based on when and where the baby slept: early independent sleepers (own room <4-months), later independent sleepers (own room between 4- and 9-months), and room sharers at 9-months. By 9-months, the babies in their own room were sleeping a little longer and in longer stretches. (However, the difference in the longest bout of sleep was only about 20 minutes and by 12-months, there were no differences between groups). At 30-months, children who were sleeping in their own room before one year were sleeping an average of 45 more minutes per night than children who shared a room until 12-months. Talk to your own pediatrician, use safe sleeping practices, and know that whenever your baby moves to his own room, there are gentle and effective ways to teach them to sleep on their own! Comparing apples and oranges. Mom-baby pairs were not randomly assigned to room sharing or solitary sleeping groups. Researchers merely analyzed the group they had already recruited for an existing study. In fact, the independent sleeping group was much larger than the room-sharing group (62% versus 11%). In research terms, this is problematic. These are not equivalent or comparable groups and other factors could have influenced the sleep outcomes. The authors admit there were significant demographic differences between the groups. It’s possible that differences in sleep were not due to where the babies slept, but other factors that the researchers didn’t account for. Sleep quantity was not objectively measured. Instead, researchers asked moms to summarize “over the past week” about a “typical” night. Parents know that there can be huge differences in infants’ sleep from night to night and it could be challenging to summarize a week’s worth of sleep behavior. Babies who sleep in a separate room may be perceived to sleep more simply because moms can’t hear the baby. The differences between groups may have been due to differences in moms’ estimates of their baby’s “typical” sleep in a week. In fact, many of the statistics on sleep were plus or minus up to 2 hours. Was it sleep location or something else? It’s not clear from this study whether the independent sleepers would have slept just as well if they were room-sharing. It’s possible that the room-sharing moms (who were statistically less affluent than the independent sleeping group) may have had other stressors that affected both sleep location and their perceptions about wakefulness. SIDS Prevention. The researchers’ advice to move babies into another room by 4-months, goes against what we know about SIDS risk. Room-sharing until 6-months is protective against SIDS. After 6-months, room-sharing is helpful for moms who are still nursing at night and need a safe place to put the baby after they have nursed. The AAP’s changed their advice about room-sharing because exhausted moms were going to their baby in another room and were falling asleep with their baby in unsafe conditions. The risks of bedsharing are preventable. It is not difficult for parents to prepare the bedroom so that the baby has their own safe space and moms can easily breastfeed. Cosleepers or sidecar-ing the crib are ways to have the baby nearby, but in a safe, obstruction-free zone (i.e. no pillows, covers, toys, or crib bumpers. Click here for an article on safe sleep). With good safety information, parents can make decisions that work for them and are safe for their baby. There are many ways to get good sleep. Early independent sleep locations may be great for some babies and some parents. However, this study is not persuasive evidence that placing your baby in their own room at 4-months is a guarantee that they will sleep better or longer. Parents need to decide what works best for their baby and their family (as well as their living situation). Macall Gordon has a B.S. in Human Biology from Stanford University and a Master’s degree in Applied Psychology from Antioch University Seattle. Her graduate training included infant observation, attachment, emotional regulation, child development, and family systems. She has also conducted and presented research examining the research underpinning existing infant sleep interventions at child development and infant mental health conferences around the world. Her other research has examined current sleep advice and its impact on parenting experiences with managing their baby’s sleep. (See the research at infantsleep.org). Macall is an Adjunct Faculty at Antioch University, Seattle, teaching research in the graduate program in Applied Psychology, Counseling & Family Therapy. She is also a WA State Certified Counselor (#CL60604117) approved by Washington State to work with parents and families. Almost there: please complete this form and click the button below to grab your guide. 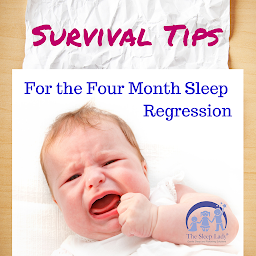 Enter your email address so we know where to send your "Survival Tips for the 4 Month Sleep Regression" guide! You’ll also receive weekly sleep secrets for newborns to 6 years old, the latest research on sleep and children, specials offers and much more!